Greetings, friends! As promised, here is my first ever guest blog, written by the crafty and comedic Caity Dalton! (Perhaps you remember her from the Great Gingerbread Houses of 2011?) Sit back, relax, and enjoy! I’ve recently gotten addicted to Pinterest, a site where you “pin” things you like, and found a really neat idea there on how to store earrings in a cute and decorative way. I usually just toss my earrings on my dresser, they end up falling into the drawers and then I’m confused as to why I can never find the earrings. It’s a tough life. 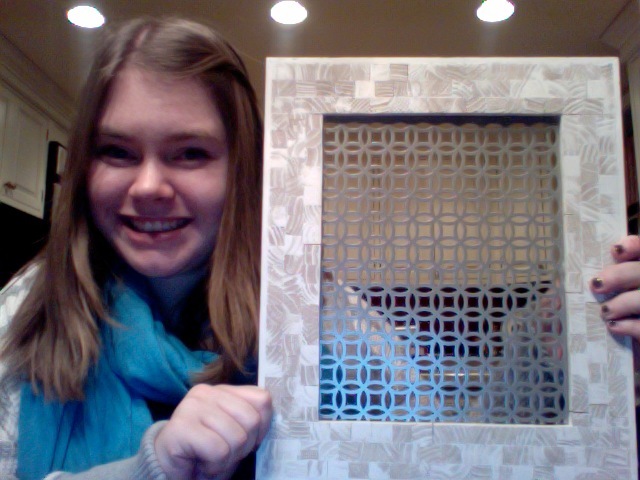 First, I went to Michaels to pick out a cute (and affordable) frame. I found a really nice white frame (shown below) for about $4.95, since I happened to be shopping during a clearance sale. Completely unplanned and completely awesome! 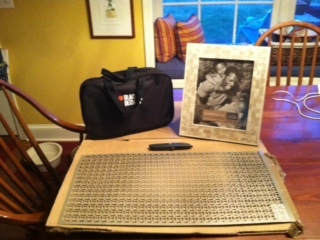 Then, I went to Home Depot and bought a decorative radiator grate, which come in various sizes. For my purposes, I got the smallest size, which was about 10x20inches. 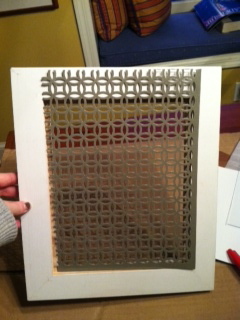 They came in different colors/designs and I chose a silvery color, as I thought it would look best with the white frame. 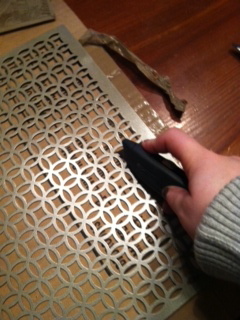 I didn’t want to be stuck with a gold grate, which could be hard to match to future room décor. I measured wrong the first time (rulers can be faulty!) so I had to cut the grate down a few times before it was perfect. 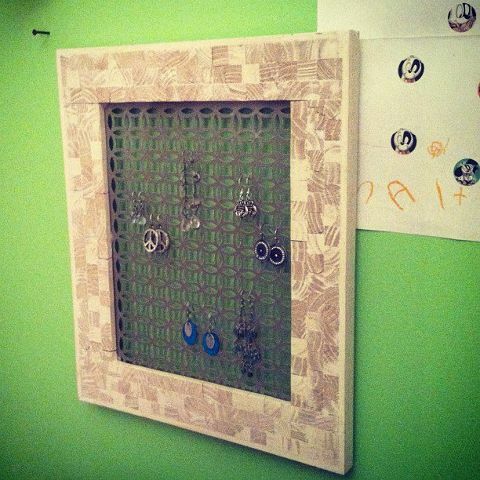 Now, the instructions that I found for this craft said that they used clear packing tape to attach the grate to the frame, but I thought that seemed sloppy and temporary, so I used a hot glue gun, just to be on the safe side. Who doesn’t love using a hot glue gun?! So crafty, Caity! Great idea! Will it hold stud earrings, too, or would they fall through the grate? Thanks! 🙂 Unfortunately, stud earrings would just fall through the grate, so it’s only for dangly ones.